Admiral of the Fleet, Sir Roger Keyes, served as the First Director of Combined Operations from July 1940 to October 1941, when he stepped down because his redefined role, at the head of the Combined Operations Command, reduced the status and power of the post he originally accepted and developed. He was born in Tundiani Fort, India, on the 4th Oct 1872 and entered the Royal Navy in 1885 to rise through the ranks to Commander in 1900, following action against the Boxer rebellion in China. Later, as Commodore in charge of submarines from 1910 to 1914, he made a significant contribution to the British victory in the Battle of Heligoland Bight of Aug 28, 1914. In 1915, he was appointed Chief of Staff for the unsuccessful Dardanelles expedition and two years later, as Director of Plans at the Admiralty, he discouraged German U boats from operating in the waters of Dover Command by sinking 5 of them in just one month, when the average, since the beginning of the war, was one a year. He also blocked the entrances to Zeebrugge and Ostende harbours, which further curtailed U boat activity. He was knighted after the Armistice and thereafter held a number of commands, including Commander of the Battle Cruiser Squadron, Deputy Chief of the Naval Staff, Commander in Chief of the Mediterranean Fleet and Commander in Chief, Portsmouth. He didn't gain the highest office of First Sea Lord, partly because there was insufficient political support for his plans to expand the navy between the wars. He was also, arguably, too young for WW1 and too old for WW2. His last appointment ended in 1931, when he was around 60 years old. Such was the public adulation, following the Zeebrugge operation, that the remainder of his life was, to an extent, an anti-climax. He became a member of Parliament for Portsmouth in 1934 until his elevation to the Peerage in 1943. In May 1940, he served as liaison between the King of the Belgians and the British Government and strongly defended the Belgians position when they capitulated to the Germans. He rejected claims that the defeat of the Expeditionary Force in northern France and its hasty withdrawal at Dunkirk was a consequence of their decision. As he approached the age of 68, he was given a final chance to apply his vast knowledge, skills and experience, when his good friend, Winston Churchill, appointed him to the post of Director of Combined Operations. Keyes inherited the directive (job description) from his temporary predecessor, General Bourne, but his interpretation of the role was very different. 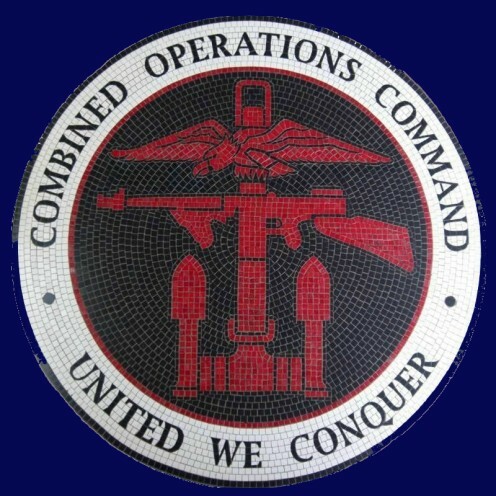 "Director" indicated power and control over the resources of Combined Operations. His direct line of communication to Churchill as Prime Minister and Minister of Defence, simply confirmed, in his mind, his autonomy. Towards the end of August 1940, Keyes moved his staff out of the Admiralty into offices at 1a Richmond Terrace, London, henceforth known as Combined Operations HQ (COHQ). He set about restructuring his command, drawing on senior staff from the three services and placing them under his direct control. This unorthodox approach was a thorn in the flesh of high ranking traditionalists from the three services but, under the protection of Churchill, Keyes' uncompromising approach prevailed - at least for a while. During his tenure of office, it became evident that the three services could work together more efficiently and more effectively as a combined force in pursuance of a common cause. Freed from the constraints of inter-service rivalries, disparate internal procedures and protocols, more was achieved in less time, than would otherwise have been the case. However, despite this successful integration, a little over a year later, under severe pressure from the Chiefs of Staff, Churchill redefined the post of Director of Combined Operations to Combined Operations Advisor - a change that was to have drastic consequences for Keyes. He was unable to accept the loss of status, as he perceived it to be. An exchange of letters with Churchill followed but it was clear that no resolution was possible and, with a heavy heart, Churchill replaced Keyes with a younger, more diplomatic officer by the name of Mountbatten. In the final exchange of letters between the two old friends, Churchill wrote; " I need not waste words on the pain and labour this matter has caused me." In reply Keyes wrote; "Please don't feel pain on my account, I have none. I only grieve to have let down my splendid Commandos." Despite such negative thoughts, Keyes had in fact achieved a great deal in his 15 months as Director of Combined Operations. His departure was mourned by his Commandos, who shared much of his fighting spirit and independent thinking. As the Member of Parliament for the Portsmouth North constituency, Keyes spoke during a debate on the King's speech in the House of Commons on the 25th of November 1941. 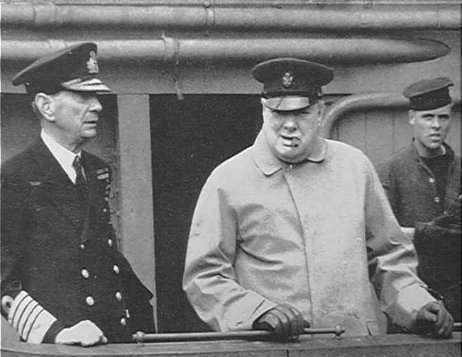 While he warmly expressed affection and admiration for Prime Minister Churchill, his Commandos and amphibious forces, he laid bare his frustrations with the Whitehall machinery that obstructed, rather than assisted, Combined Operations. Hansard, the edited verbatim report of proceedings of both the House of Commons and the House of Lords, takes up the story. Click here (Pdf File). Using his house of Common's speech, United Press International (UPI) issued a press release that was taken up by The Columbus Telegram on November 27, 1941, just a week or so before the USA entered the war following Pearl Harbour. 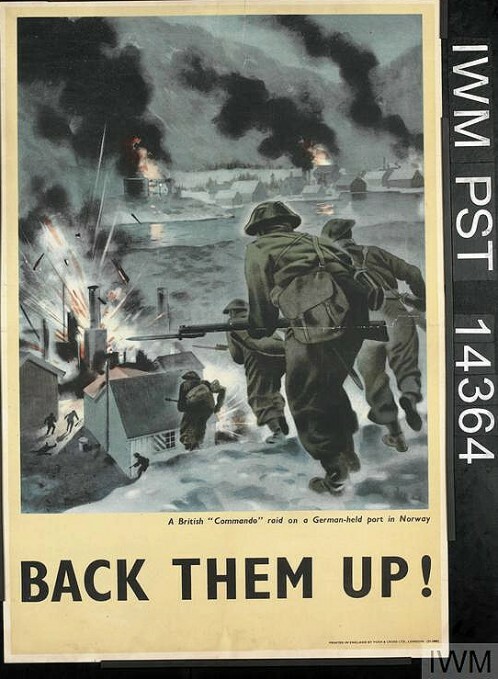 British Make Daring Raids On Normandy - “Commando” Troops Get Ashore, Finish Job, Get Back Safe. Britain’s commandos, tough, black uniformed “phantom” troops, made a daring hit and run raid on the Normandy coast Sunday night and early Monday morning, it was disclosed officially today. Commandos, organized to reconnoiter German defenses and cause as much havoc and destruction as possible, got ashore, completed their mission and returned, the only casualty being a man who was shot in the arm by a machine gun bullet. 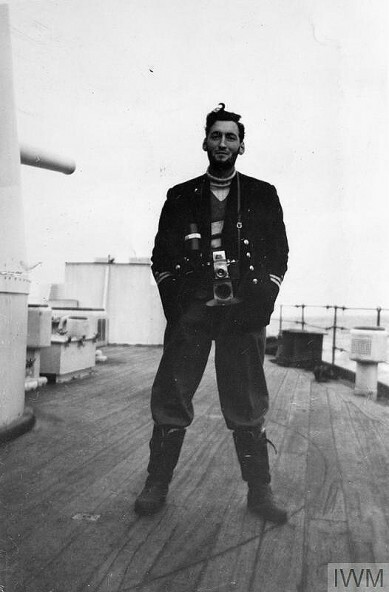 As the ministry of information was announcing the raid, Admiral Sir Roger J.B. Keyes said in the House of Commons the commandos were eager and ready to act a year ago when, he said, they might have altered the course of the war. 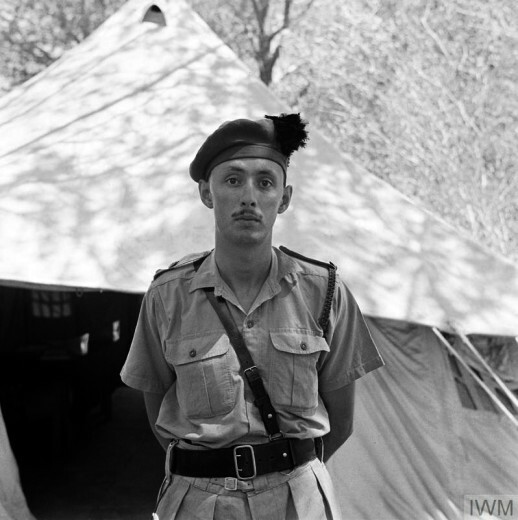 “The Prime Minister was as keen as I was to act vigorously in the face of hazards and achieve great results which, if the commandos had been allowed to carry them out, might have electrified the world and altered the whole course of the war,” Keyes said. Keyes started training the men after the fall of France. Training was a closely guarded secret and even war correspondents were not allowed to visit them. Later, it was learned that the commandos operate with Tommy guns, grenades, knives, sticks and dynamite. They always operate under the cover of night. The commandos black their faces to make them match their weird black battle dress. The daring hit and run raid made by the commandos Sunday night was the first against the continent to have been acknowledged officially. German high command mentioned it in a communiqué issued from Adolf Hitler’s field headquarters. Germans, however, said the raid had been repulsed and heavy losses had been inflicted on the British. Roger John Brownlow Keyes or Baron Keyes of Zeebrugge and Dover, died on Dec 26th, 1945, in Buckingham, England. He was laid to rest among his fallen Zeebrugge comrades in the small cemetery of St John's Church, Dover, England. "He most prevails who nobly dares." Roger Keyes; a biography of Admiral of the Fleet Lord Keyes of Zeebrugge and Dover, G.C.B., K.C.V.O., C.M.G., D.S.O. C.F. Aspinall-Oglander, London, Hogarth Press, 1951. xv, 478 p. illus. 23 cm. 1972-1981.3 vols. : ill., maps ; 23 cm. The Watery Maze by Bernard Fergusson 1961. Published by Collins.